These tear drops are vintage faceted vitrail in color round beads that have been purchased in Canada, they came in the original D.S. & Co Swarovski factory package. They are extremely beautiful and rare. 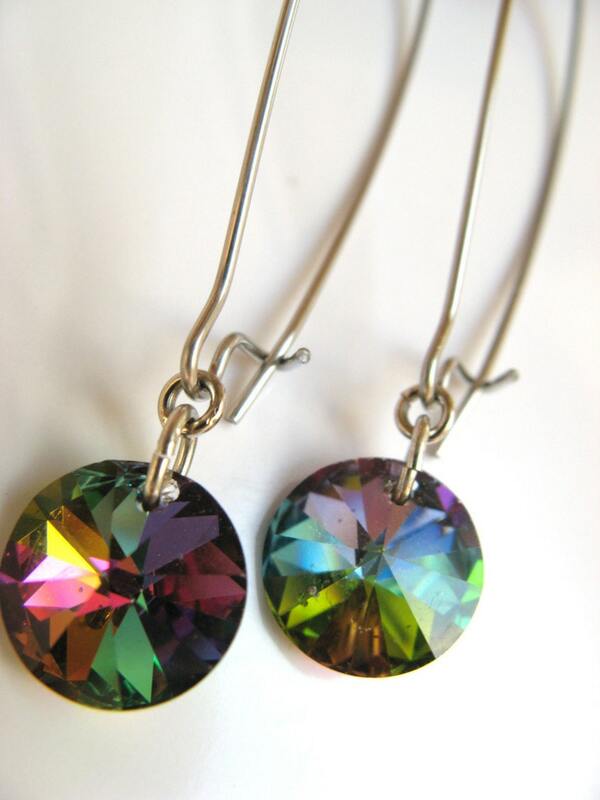 I placed them on oversized kidney wire earrings that measure 2 1\/2 inches in length with crystal drop. The crystal pendants measure 10mm. Very hot trendy look going on right now.